The problem was, I didn’t realise that these trousers are intended to be baggy. Really baggy. 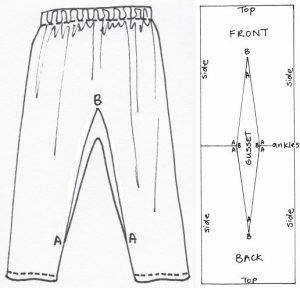 They need to be baggy because the gusset’s point is a weak spot and will probably tear if subject to stress (like sitting down, for example). 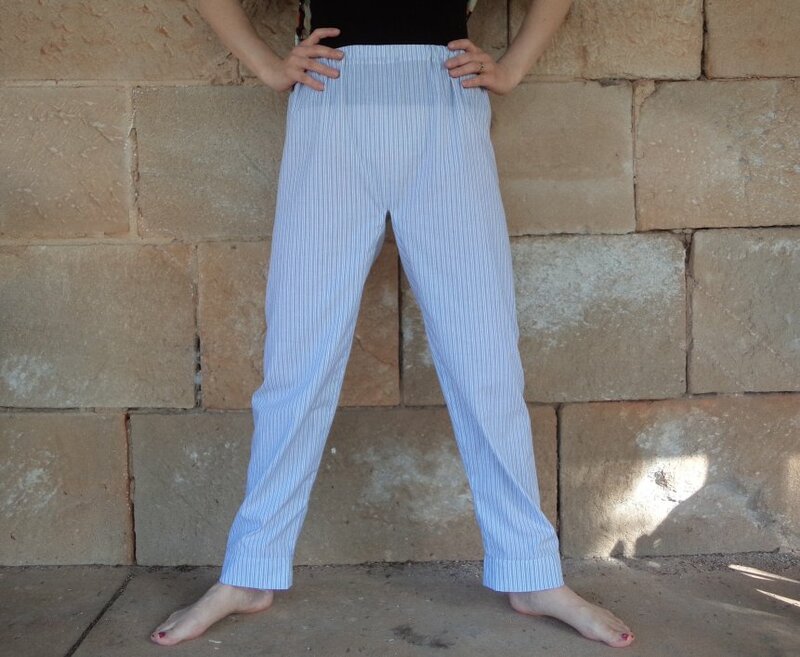 I’ve since found this picture of an ultra-baggy pair; I can see now it’s meant to be a Persian/harem pants style. Front view of my anti-harem pants interpretation. 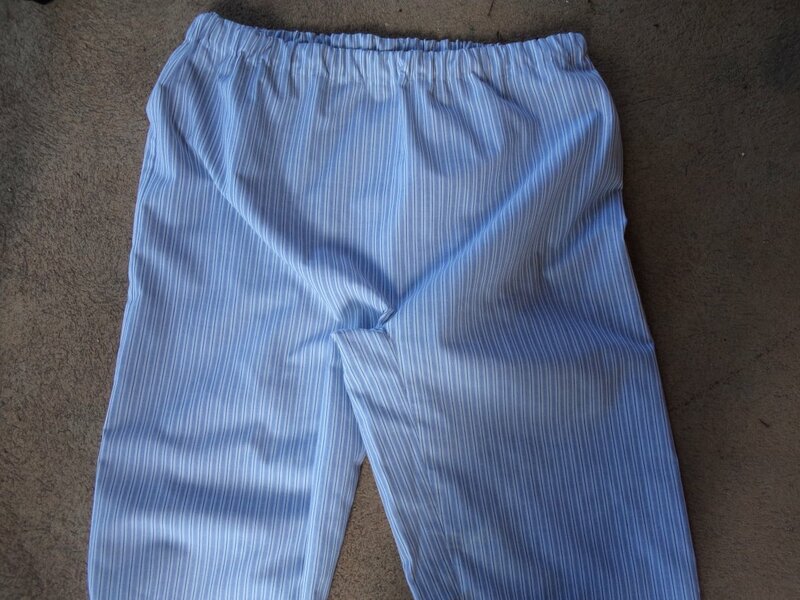 Note: no centre front seam. The back view – the front and back are the same. It’s a clever and interesting pattern. 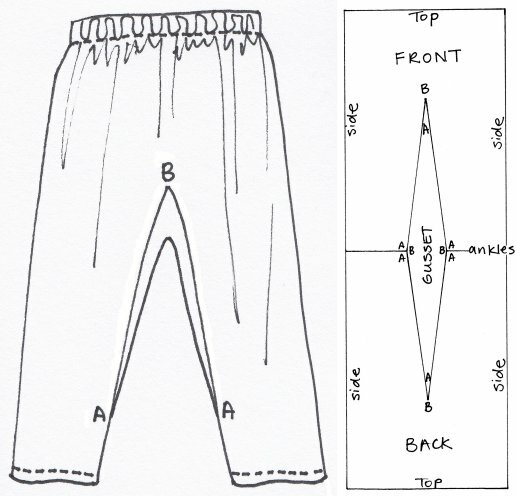 The diamond shape in the middle is the gusset. It’s turned 90 degrees and set into the “V” of the front and back. Then it’s only a matter of sewing the side seams, hem and elastic waist and the trousers are finished. 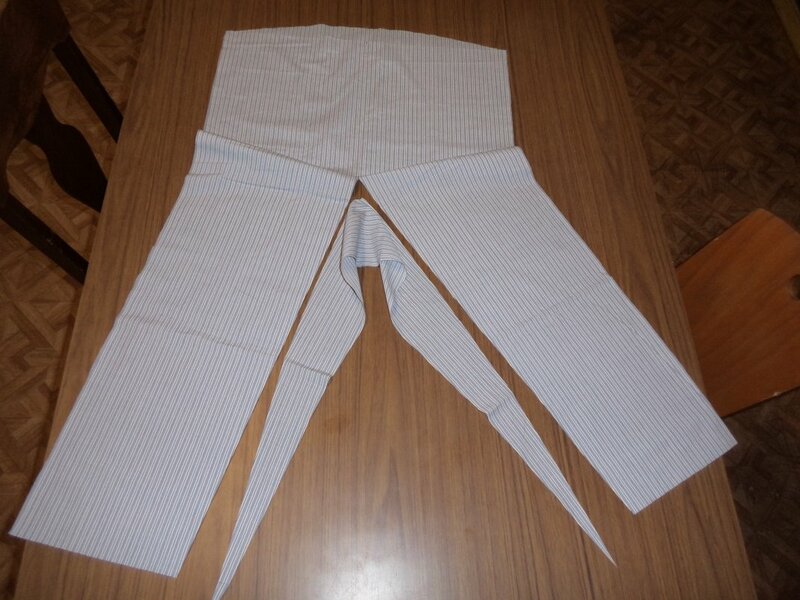 Here it is cut out with the gusset turned 90 degrees. 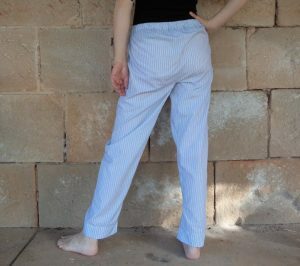 The gusset isn’t all that wide (on mine) but the gusset width is dependent on how wide the waist and ankles are. I’ll try this pair out as pajama pants and see how they go. 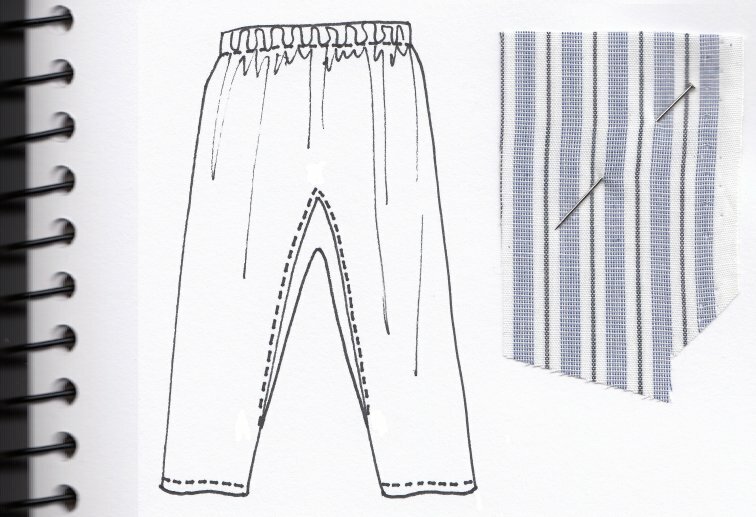 Meanwhile, I’ve cut out a looser fitting pair which I’ll finish in the next week or two (hope I can nail it this time! ).